Since its inception the company (OKYO Pharma Ltd. ”OKYO”) has progressed its R&D programs focused on its assets Chemerin and BAM8. The G protein coupled receptor (GPCR) signaling field has garnered worldwide attention from drug developers since a Nobel prize in Chemistry was awarded in 2012 for research in this area. Large pharmaceutical companies such as Novartis, Pfizer, Astra Zeneca etc. are also heavily investing in modulation of GPCR signaling. 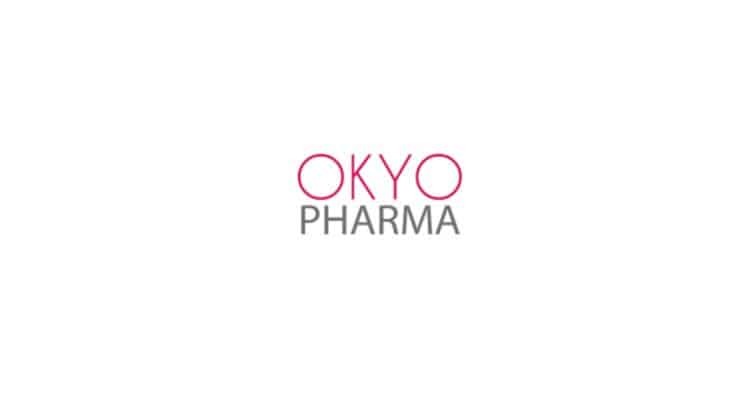 OKYO acquired an exclusive worldwide license from On Target Therapeutics LLC for therapeutic applications of GPCR agonists of a novel class of membrane-anchored Chemerin receptor and Bovine Adrenal Medulla (BAM8) receptor involved in inflammatory and analgesic pathways. The ongoing research at OKYO is examining the use of Chemerin receptor agonists for the treatment of dry eye disease, uveitis and ocular inflammation. Results from ongoing preclinical studies in cell cultures and animal models suggest that OKYO’s lead molecule (OKYO 0101) has therapeutic potential for dry eye disease, uveitis and ocular pain. Our current focus is to complete the IND-enabling studies and aim for IND submission by Q1 2020. Currently opioids are the most common therapy to treat pain, however, addiction to opioid medication has created a worldwide epidemic. BAM8 peptides exhibiting potent analgesic activity have the potential to be developed as non-opioid analgesics for treating symptoms of neuropathic chronic pain, ocular pain and uveitis associated pain. Preclinical studies are ongoing at OKYO to further support BAM8’s use in ocular and uveitis associated pain. These studies are expected to be completed by Q2 2019, which would provide a basis for further IND enabling studies. OKYO’s current focus on Chemerin, a naturally occurring peptide that targets the inflammatory pathways to treat dry eye syndrome and BAM8, a non-opioid analgesic, for chronic pain management is innovative and first of a kind. OKYO Pharma focuses on novel therapeutics for eye diseases of high unmet need and non-opioid analgesics, where large market potential exists. Specifically, OKYO is developing first-in-class drug candidates for the treatment of dry-eye, uveitis, ocular pain and inflammation.